and invite into my emptied consciousness, my pal Noname (this gets easier with practice, of course). Noname was introduced to me many years ago, over at a “Find Your Angel” workshop I did. It taught me how to “work” with my own private “angel.” (skeptics relax! This is our own inner wisdom!) This workshop happened in New York City in 1984, the year I was blessed by waking up enough to choose sobriety and walked into the doors of AA, ending my thirty-year run of trying to figure out who and what I really was — by running as fast as I could away from my true Self. When we 20-participants were taught by the leader of the workshop, a wonderful soul named Alma Daniels, how to do what I’ve just briefly summarized above, she gave me a gift I’ve cherished and used since then, and will gratefully continue to do so, forever. So now I am approaching Noname … with no question to ask, with no agenda other than wanting to share how I make contact. I will do the ritual above, and then await to “feel” what Noname is saying to me. I always ask, “Is this you, Noname,” and he replies, “Yes.” I can usually tell when “he” is present because there’s a shift in my awareness, and I can “feel” a counterclockwise-kind-of-swirling action within my consciousness. Everybody makes contacts in their own way. This is my way, only. accessing my inner strength, Noname as a Spiritual Warrior! Yes, whatever I say to you can be shared with the world. There are no secrets. There is nothing to fear. All is happening as it should. Nothing happens by accident. Every event, every so called “bad thing” is meant to be. There is a divine order to things and you just have to trust me on this. I know you’re concerned about a lot of things. As are your fellow brothers and sisters. But stop worrying! Use this energy you’re wasting on worrying for creating new things, new ideas, new objects, new pathways to future solutions. They’re all inside you. 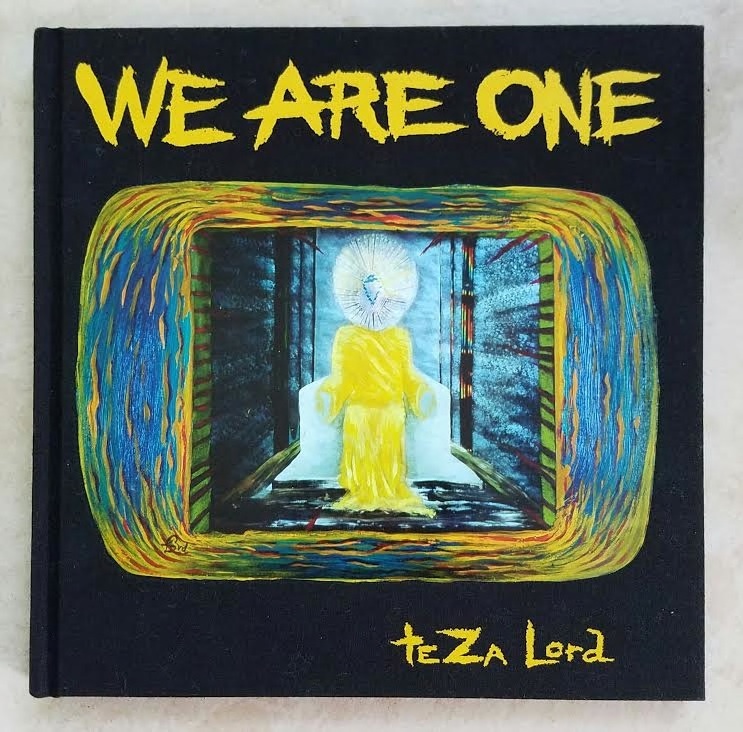 I know you personally, teZa, are concerned that your work might not reach your fellow humans. But this is foolish for you to think this way. Everyone who is meant to find you, will find you. As you found me. People find what they need, in order to be more complete. The events that take place are all in the order of always growing closer to the Source. I am not the Source. I am your connection to It. I am your own voice inside, but you need to shift gears to hear me, to let me speak through your fingers’ abilities. Many people search how to hear, how to feel more at peace. You have found our connection. This appeases your concerns. Others do other things. They might do sports, or go to church, or read incessantly, or watch too much TV. Those are all different choices people make, in order to make their souls, theirs minds, their looking-for hearts come to a place of rest, and peace. To enjoy this life best they can. Because your time here is limited. You know that. You’re all just passing through. Whatever happens during your time here, is perfect for your soul, what your life needs to know, what you need to experience. Fear not. If you’re worried or unhappy, know that you are choosing to feel that way. If you’re happy, then you have found your true connection with your inner wisdom, and you know that all is happening for a reason. So stop worrying, teZa. Your work is being seen by the perfect people who have been led to find you. Conventional publishers not accepting your ideas means you’re unique, nothing more. Your work is so unique that they don’t see it as commercial, and for that, be grateful. If you were commercial, I’d be worried about you. I stand naked before you … with my books! Carry on! Do your duty! Finish up these two books, both so close to publication. Then, take your time to rethink what’s next, as you and your consort Carter are planning. Take that nice long away time from your usual commitments. Let go, relax, check in with your happy-ometer and see how it feels, what you’ve been doing. Because you can trust your feelings. You’re sober. You’re not blinded by illusions, altered states, uncontrolled ego. When you let go of that life, that’s when we first met, when you put down getting out of your natural state. Being in your natural mind, without undue influences of drugs or emotional drama, is where our work happens. I’m glad you’re contacting me today. Let the readers of your nice blog here, know what our easy rapport is like. I speak to you and you record what I say: nothing more nothing less. Enjoy this gift, this beautiful day on Earth. Enjoy this short experience here, this life as a human woman who arts, makes books, spreads love … and doesn’t give a hoot if anyone finds her work on not. I see you. I feel you. We are One. Leave me your comments, won’t you! I love to hear from you. Choose to CHANGE—start nurturing yourSELF right NOW! Choose to Change—and start nurturing yourSELF right NOW! In the process of nurturing, many positive patterns are developed in a human being. Think of the much-loved infant that gets constantly cuddled and adored, surrounded by smiling faces and constant attention. This is the kind of support you will be giving yourself, and anyone else you choose to nurture, in the process of embracing both self-development and helping others. Both these acts, nurturing yourself and nurturing others are inextricably linked. You can’t practice one without practicing the other. You may, however, focus entirely on nurturing your own SELF first, if you wish. Especially if you think you have been lacking in this area previously. As an aside, when I use the capital to write Self I do that purposely. The small “s” self I regard as the emblem of a person who lives predominantly from ego. Ego is okay in small doses, for without it we would not be who we are. We need a healthy ego to develop into mature individuals. But that part of us, our personality which psychologists and philosophers call ego, must adjust to the greater good in order to grow into a healthy, spiritually fit, emotionally balanced adult. The spiritually and emotionally healthy individual is the kind of person I refer to as having a healthy Self. This is what we shall accomplish in our journey here: together discovering a way to live from our Higher Self and cast aside the old, never-fulfilling, always-painfully lacking smaller, lesser self. By the way, it’s the lower self that tells us to eat too much, drink too much, take drugs, gamble, shop, etc. to numb our pain, whereas our Higher Self is that part of us that says, “Hey! It’s only life! Lighten up! Focus on the positive, let go of the negatives. It’s all about choices, sweetheart.” That voice is part of you. That positive, fun-filled inner voice is the Higher Self that resides within every human heart. Most humans don’t like change, and nurturing certainly takes effort, changing negative traits into better ones for adults, and guiding children for those who are in that role. Those of us who are, or were once addicted to feeling bad-sad-mad, often resist that every person has the choice to feel good—or not. Some people simply don’t want to believe that by choosing to change we can claim our birthright. Others kid themselves that happiness is illusory, or false, or a drawback to life rather than an respectable, attainable asset. Whichever type of person you are, whether you’re someone who’s addicted to change or someone who’s stubborn about changing, or a non-believer of the greater possibilities positive change rewards us with—sooner or later something happens in life that makes all of us want to be different than what we have been up to now. Once upon a time I was a change-junkie, so in order to embrace the up-till-then, elusive-to-me inner happiness we’re speaking of here, I had to change from—you guessed it—changing so much! I had never found, no matter what different country I was in, what new occupation I tried, or which next relationship I embarked upon next—I always felt, deep inside, that something was terribly lacking in my life. Others who are not the addicted-to-adventure types such as I, those who are less spontaneous, perhaps a tad more wary of trying new things, who rarely venture from their comfort zones—all of us have the exact same feelings as everyone else. All humans share the life journey of trying to discover some modicum of simple satisfaction. The Sanskrit word Satchidananda is my favorite choice for describing this inner state of human feeling that takes only effort to achieve. It translates as Sat – Beingness; Chid – Knowledge; Ananda – Bliss. What a lovely thought, eh? That just by being alive we can attain the kind of knowledge that will reward us with … bliss. Bliss is simply another word for contentment, aka happiness. How to practice discrimination — and then — detach! Wow, these are BIG topics, aren’t they? But in my experience, with these two spiritual tools in your back pocket, and the confidence to USE them, life is much much easier. Case in point: when conflict arises, if one can discern (another word for discrimination) what is the “correct” choice, the “next right thing to do,” even if that means…really…doing nothing! well, this is a real life asset. And of course, when we get to the place where we are able to discern what it is, what course of action, what choice to make that will make our lives more full, happier, and more pleasureable, the next thing is….to let go! but how? what to do, what to do, when people, places, things, politics, weather, or life … bothers us. Something is always gonna bug us, unless of course (ahem!) one is a saint. unlikely, my friends, unlikely. more like this…. in yogic philosphy we call discrimination “viveka” and it is a very essential part of growing along the path that leads to enlightenment. without viveka, we tend to get stuck. So! How do we practice viveka? Well, for me I have learned how by working with what I consider is the greatest spiritual master alive today. Of course each of us has our own preference, as to which path, and what teachings we adhere to. After many years of searching I finally found my teacher, Gurumayi Chidvilasananda (more info at http://www.siddhayoga.org) who is a meditation teacher, and an adherent of the traditional methods of spiritual attainment as described in the world’s oldest scriptures, the Vedas. Gurumayi, as she’s affectionately called, has taught me that I must “go within” and listen, in order to discern what is right from what is wrong. This practice of going within, meditation, is the best way I know of about how to “determine” whether an action should or shouldn’t be taken, a person is “right” or “wrong” and any other of life’s decisions. Without meditation, on a regular basis, I’d be in real trouble. Simply put, meditation is the stilling of the outward senses. It’s much easier than most people think. Well, because when you meditate—you don’t think! You pick something to focus on, besides a thought. It could be the sound of the ocean. Or a word (a mantra), or a short phrase (a longer mantra) or a beautifully inspiring mandala, a painting, or a candle. Whatever you choose, just give yourself a peaceful, clean, quiet environment in which to do this meditation. When we had kids in the house I actually would go into a closet and sit on the floor and place my hands over my head so that my thumbs would conveniently stick into my ears, plugging them up. This is a real meditation position, believe it or not! And quite effective when there is noise around. Of course it’s nice if you live in a serene place. But if not, don’t let that stop you from meditating! Even the sound of sirens and a leaky faucet can disappear when one has learned to concentrate on the “meditation tool” rather than letting outside distractions keep one from “listening to God”…which is what meditation is. Relax. let your worries go. Empty your mind. Empty your “cup” and let it be filled with the wonders of the Universe! And then….after some time in quiet meditation, just come back to your daily life, and whatever was bothering you before—let it go! pretend it’s a leaf and you’ve tossed it to the wind, and watch it as it swirls and dives and dips, and….whoosh!….disappears! This may take some practice. So please don’t be impatient. Just sit quietly for meditation every day, even if it’s only for a few minutes. You’ll notice the positive effect on your life immediately, i promise. you will see that the canyons of life’s challenges, that before used to get you down and depressed, can become avenues of growth and opportunity! it’s all in the way you look at things. Go within. Listen to Great Spirit whisper in your ear. the winter solstice was yesterday and i didn’t have time to make my goals! traditionally, this day has been when i assess how my year past has been, and to make new goals for the upcoming year, and also envision a five-year plan that’s helpful to keep me on track. okay, call me pagan, but i associate the winter solstice with the time of being quiet, calm, inward. christmas does come from the winter solstice, for those of you who don’t know yet. i guess my fondness of goal-making on the shortest, darkest day of the year, the winter solstice, comes from when i worked with others to prepare for an Native American Indian sweat lodge. we’d meet for preparatory exercises, to clear ourselves for the spring-scheduled sweat. each week our group would gather, there in east hampton, in the snow-covered state of new york, out by the ocean in a house warmed by a roaring fire. when the winter solstice came around we did ceremony together: threw our frustrations into the fire we called sacred, and made our intentions known (only to ourselves if we were shy) about what we wanted to accomplish in the upcoming new year. i love ritual! there is something so primordial, so … sacred … about enacting purposeful intentions with others, with a touch of drama and a great bit of good humor. ritual helps celebrate the joy of living. yes yes, i know you’re shaking your head. this is a big sky-style bachelor party, in case you’re wondering. stange but…ritual nontheless! so on this day, the day after the winter solstice, i’m performing my intimate rite of “going within, to speak to that deepest part of my soul” –right in front of you! here, with you, i share my goals for 2009. how better to make myself accountable than to tell the entire world what i’d like to accomplish this next year? so …. with a drum roll … and a great little celebratory drawing to focus on …. 9. Love and laugh more than not. 10. Be here now–and think how to do that best.